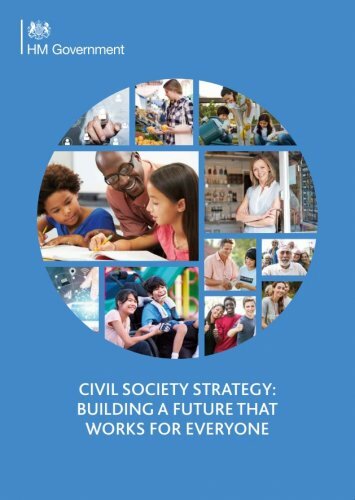 The Civil Society Strategy sets out how the government will work to support and to strengthen civil society, without compromising its independence. 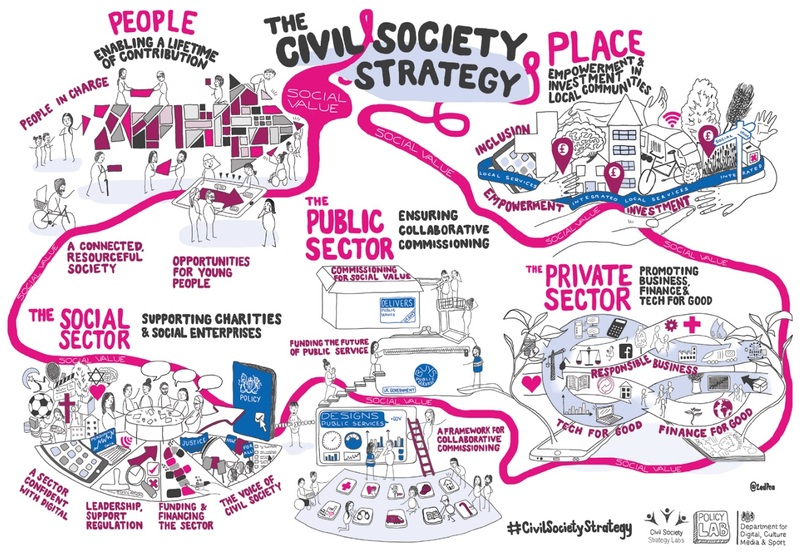 Civil society refers to all individuals and organisations, when undertaking activities with the primary purpose of delivering social value, independent of state control. The government wants to build a partnership with charities and social enterprises, with volunteers, community groups and faith groups, with public service mutuals, socially responsible businesses and investors, and with the institutions which bring sports, arts, heritage, and culture to our communities. A strong partnership of government, business, finance, and communities will help society rise to the enormous opportunities of our times. Civil society can help us make good on the promise of the 21st century: a more connected society, in which everyone can play their part. Civil society can also help us tackle a range of burning injustices and entrenched social challenges, such as poverty, obesity, mental ill-health, youth disengagement, reoffending, homelessness, isolation, and loneliness, and the challenges of community integration. Across our society individuals and organisations, including traditional charities, social enterprises, mutuals, and mission-led businesses, are designing effective responses to social challenges. Together with public services and mainstream businesses, they are creating ‘social value’: enriched lives for individuals and social justice in all its forms. The role of government – and the purpose at the heart of this Strategy – is to act as the convenor of the emerging coalition of people and organisations which, together, have the answers to the challenges of our times. This means leading the debate about the future social model our country needs, coordinating investment, tracking data on what works, and most of all, ensuring people themselves are at the heart of the system we are building together.